Grolsch is known for its swing top bottles and authentic flavors. The brand brews all kinds of beer since its inception in 1615. Besides their regular selection, the Master Brewers of Grolsch also produce a range of specialty beers. 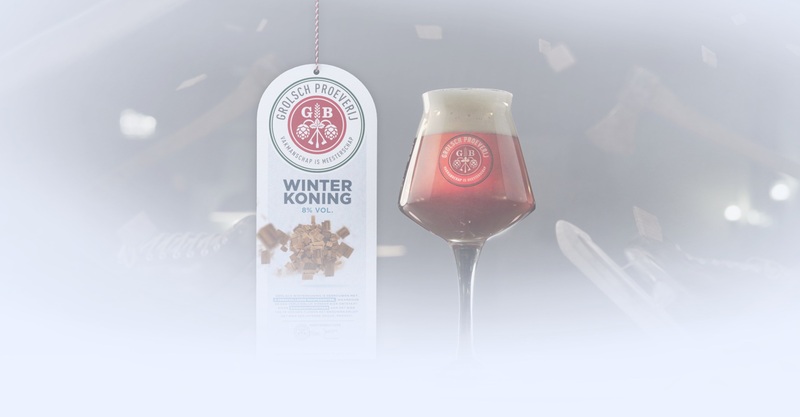 For the final weeks of winter 2019, they brewed a beer with sweet flavors and warm tones called Winterkoning. The beer had to be introduced to the (potential) fans of Grolsch. Whilst not unfamiliar with setting up campaigns, the brand wanted to revamp their current way of advertising. The new solution had to spark interest in Grolsch Winterkoning and lure fans to so-called 'Proeverij Cafés' of the brand. Excited for the new challenge, ideas started to get flowing. Once again, we brought together our creative and marketing teams to get started on the project. Thanks to letting our strategic and creative minds collaborate, we didn't only think of amazing content. By keeping the intended objectives in mind from an early stage, we came up with a reusable concept for the introduction of new (specialty) beers. 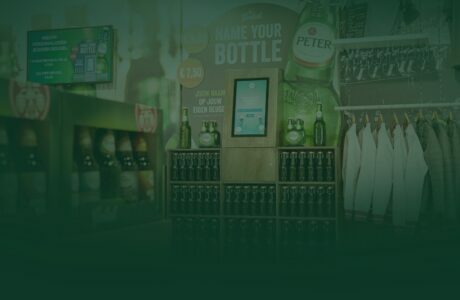 By the end of the project, we provided Grolsch with three different video formats and an advertising grid which would interest and activate the (potential) fans of Grolsch. Grolsch was aiming for exposure and awareness. So, instead of solely producing a series of creative content, our team aimed for assisting Grolsch in both the creation of strong video content and marketing activities. To develop marketing infused video concepts, we combined creativity with a thought through strategy. A two-day concept sprint helped us align the two departments. After a day of guided brainstorming, where we defined goals, audiences and distribution, we got rid of every kind of barrier to let our creativity run wild. This resulted in a series of five videos, distributed with the help of a remarketing based advertising grid. Our team landed on teasing the audience with mysterious but stimulating content. With this idea in mind, our marketers came up with a way to activate the fans of Grolsch. Using the awareness, consideration and decision phase of the buyer journey, we narrowed down their very wide audience to the truly interested. In the first phase, three short teaser videos where distributed revealing nothing but wintery shots to create the first awareness. In the second phase, a video containing hints of the new beer's flavor would spark the interest and curiosity of beer lovers. A final and recognizable reveal would activate the audience to try out Grolsch Winterkoning. You may already feel it coming. After developing the concepts, we started producing the videos. Since all video productions are set up in similar ways, we'll save you the details of the process. Instead, we'll share some behind the scenes images and fun facts. Here's what we did to produce a-ma-zing shots. We demolished a bike. We sandblasted our actor in the wintery cold with a spray bottle and a leaf blower. We drank a Grolsch Winterkoning (or two) too much. And last but not least: we've spend a lot of time post-production to compose some sweet sound effects and supporting music to enhance look and feel of the videos. We love to tease our audiences to provoke interaction. Whilst producing the teaser videos of the touch and tell phase, we made sure to add a little mystery. Videos in the first phase were so short they raised a sense of 'what am I looking at?' The second teaser only showed ingredients and associations with winter. To let everything seen in the teasers come together in the reveal, we believed a touch of 3D would do the magic. And it did! With the help of Photogrammetry, we turned real objects into usable 3D models for the final video. After taking hundreds of photos, texturing, rendering, and compositing produce a recognizable reveal video. The combination of teasers, the reveal, and the use of video marketing helped us gain exposure and awareness for Grolsch Winterkoning. The campaign proved to be useful during the introduction of the new beer to a wide audience. Besides generating awareness, the advertising grid also assisted in luring the truly interested to a designated landing page. On this page, Grolsch fans can look up a so called 'Proeverij Café' nearby to taste the specialty. How can we bring your video marketing to the next level?